Facebook Messenger, WhatsApp, WeChat, Skype, and Telegram have more than three billion active users combined! This led messenger platforms to open their doors for application development on their chats and started the rise of these applications. We all know them today as chatbots. Chatbots are much more than a hype. They change the way we communicate with companies and are bringing customer support and personalization to a new level. But what does the technology behind look like? 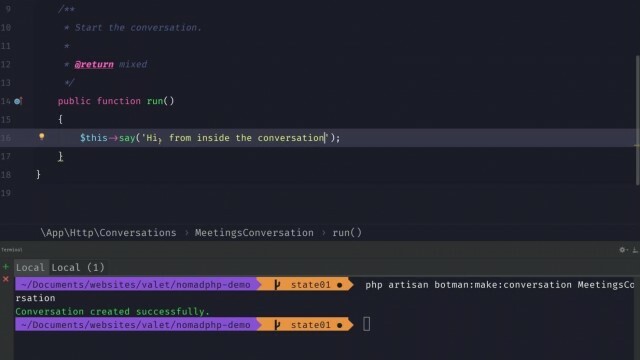 In this talk, I will show you all the tools it takes to build a chatbot in PHP. You will see what it’s like developing and testing chatbots for multiple platforms and how NLP (Natural Language Processing) services can help you to understand the user.